Showing 3 articles from October 27, 2017. YOUNGSVILLE--Norma Jean Johnson Bridges, 79, died Wednesday, Oct. 25, 2017. Funeral services will be held at 11 a.m. Saturday, Oct. 28, at Flat Rock Baptist Church. Burial will follow in the church cemetery. BUNN -- For Bunn and Louisburg, both squads' respective postseason football fates are more tied toward next week's Northern Carolina Conference schedule. Even so, the Louisburg- Bunn rivalry is always important to both sides -- and Friday's NCC meeting was no different. 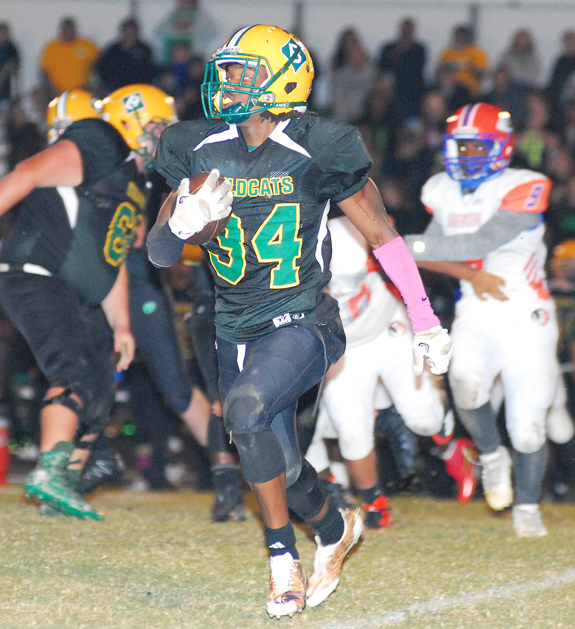 Bunn entered the contest knowing that, regardless of the outcome, next week's game against Roanoke Rapids will determine if the Wildcats can hang on to the No. 2 seed out of the NCC for the Class 2-AA State Playoffs. WILSON -- Heading into their final two regular season contests, the Franklinton Red Rams still had an opportunity at a winning season -- and an outside chance at earning a berth in the state football playoffs. But both of those options took a hit Friday -- and in the most heartbreaking fashion.